A facelift cannot resolve all signs of aging, and facial rejuvenation may be a better option. At Serrão Rejuvenation Center, Dr. John Serrão – a board certified gynecologist who specializes in anti-aging medicine and non-surgical rejuvenation of the face and neck – offers facial rejuvenation for women in Orlando, Winter Park, and the surrounding areas of Florida. Do you know that a facelift is not intended to remedy every sign of aging? The surgery focuses primarily on removing excess skin and fat that causes sagging, creases, folds, and deeper wrinkles. 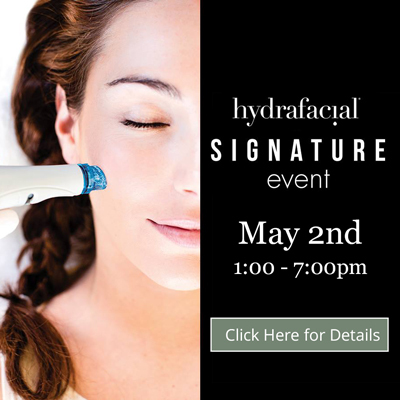 You may still have fine lines, age spots, and other issues. Facial rejuvenation is considered a more comprehensive solution for women who want to look younger. Best of all, you needn’t wait until you have more advanced wrinkles and folds to have the treatment. Serrão Rejuvenation Center offers a range of non-surgical and minimally-invasive facial rejuvenation treatments. The nature of the procedures means that you spend more time enjoying your new look than staying at home resting and managing discomfort, bruising, and other symptoms. In fact, many of our facial rejuvenation treatments require absolutely no downtime. You simply come in, have the treatment, and return to your normal schedule. Dr. Serrão is known amongst his patients as a physician who constantly looks for new technologies and methods that benefit his patients. He was one of the first physicians in Central Florida to offer the procedures that are available at our medical spa, and he is known for adapting techniques to benefit the patient’s desires. Are you thinking about surgery to look younger? We invite you to learn about facial rejuvenation. 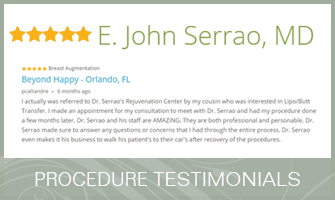 At Serrão Rejuvenation Center, Dr. John Serrão – a board certified gynecologist who specializes in anti-aging medicine and non-surgical rejuvenation of the face and neck – offers facial rejuvenation for women in Orlando, Winter Park, and the surrounding areas of Florida. To learn more, contact us to schedule a consultation and begin your rejuvenation today. A facelift cannot resolve all signs of aging, and facial rejuvenation may be a better option. At Serrão Rejuvenation Center, Dr. John Serrão – a board certified gynecologist who specializes in anti-aging medicine – offers facial rejuvenation for women in Orlando, Winter Park, and the surrounding areas of Florida. Are you thinking about surgery to look younger? We invite you to learn about facial rejuvenation. At Serrão Rejuvenation Center, Dr. John Serrão – a board certified gynecologist who specializes in anti-aging medicine – offers facial rejuvenation for women in Orlando, Winter Park, and the surrounding areas of Florida. To learn more, contact us to schedule a consultation and begin your rejuvenation today. These are just some of the ways that facial rejuvenation helps you look your absolute best at any age. While developing a treatment plan for a specific patient, Dr. Serrão uses the approach of fewer treatments while maximizing the benefits. In this regard, each and every treatment plan is unique; therefore, we cannot provide details about your procedures until the time of your consultation. Dr. Serrão explains each recommendation, what to expect, and how long the results may last. How Long is the Recovery from Facial Rejuvenation? Recovery from facial rejuvenation ranges from no downtime to a day or two resting at home. Compared to cosmetic surgery, our facial rejuvenation offers a more comfortable and relaxed experience. How Much Does Facial Rejuvenation Cost? The cost of facial rejuvenation is based upon your treatment plan. We can discuss these details, as well as our financing options during your consultation.